Motorcycle gear with classic styling is no longer a niche. It’s edging up the bestseller lists, and the mainstream brands are scrambling to catch up. It’s as though we’re returning to the (perceived) golden days of the 1960s and 1970s. That means simple aesthetics, clean lines and traditional materials, and we’re just fine with that. Public taste is maturing, and the market is shifting accordingly. Or perhaps the average rider doesn’t want to look like a Power Ranger any more—or climb into a Cordura onesie. So we’ve picked out five classic motorcycle jackets that are guaranteed to look good—no matter what bike you ride. The post New and noted: Motorcycle Jackets appeared first on Bike EXIF. 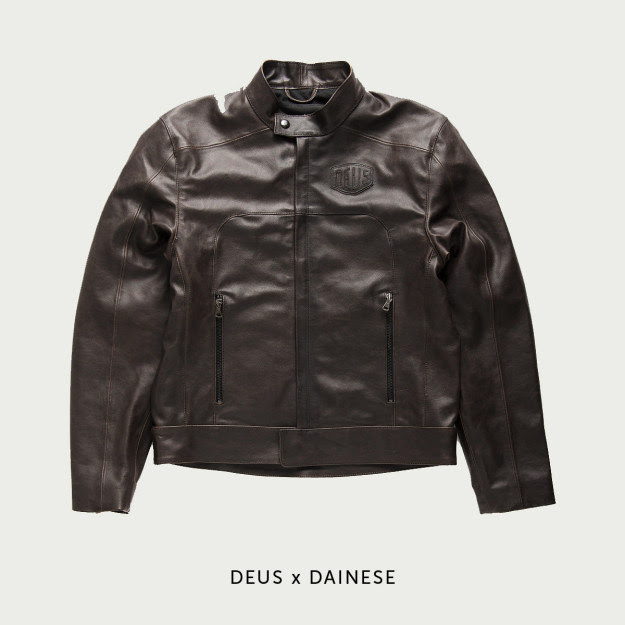 There’s nothing like a good leather motorcycle jacket. The style speaks volumes to who you are and the wear marks and scuffs speak to where you’ve been. 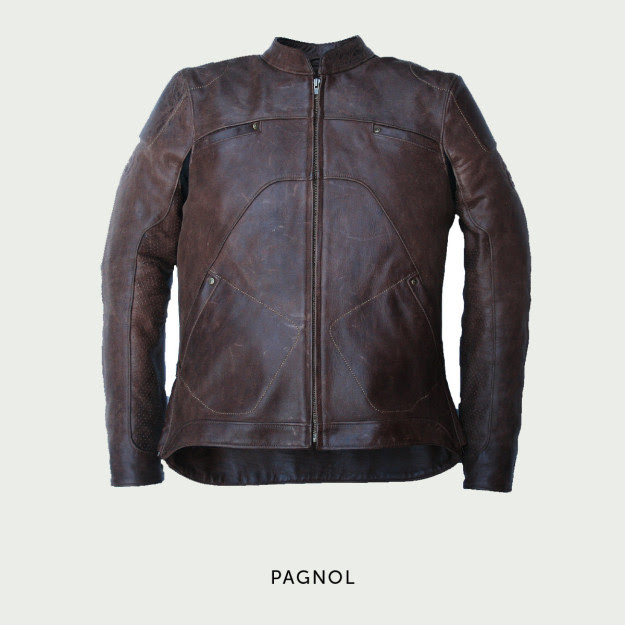 Here are some of the best motorcycle leather jackets available on the market. With co-injected shoulders with aluminum inserts, back and thorax/chest protectors, and composite protectors at the elbows, the Avro is about as safe as it gets without wearing a full race suit. The Avro saves you few dollars, but adds a few ounces, by using cowhide leather in combination with S1 elasticated panels to provide a contoured fit, which aided by adjustments at the neck and waist. The Avro comes with a removable liner, as well as reflective inserts to increase visibility, and soft inserts to increase padding should you have a fall. We’re big fans of the Avro’s sporty looks and fit. Every time I post a picture of this jacket, I either get called out for being a bad role model (wearing a fashion jacket while working as a moto-journalist) or asked what model it is. Well, for you haters, it’s actually made of wonderfully thick cowhide that is treated with resin to give it that vintage look while still offering abrasion resistance, and it has composite protectors at the shoulders and elbows plus a pocket for a back protector. The elasticated panels help give this jacket a nice fit, and the removable thermal lining does a good job at keeping me warm when the temps drop. I’m a little too long and lean for Dainese sizing, but if you aren’t as freakishly made as I am, this should fit you quite nicely and look amazing in the process. Alpinestars call this minimal branding and maximum cool. We agree on both accounts…. sort of. The branding isn’t actually all that minimal, but the jacket is pretty cool. 1.3 mm full grain premium leather, anatomically designed torso and sleeves for improved fit and to minimized fatigue, and CE-rated armor at the shoulder and elbow, plus the option to add a Bionic back and chest protector, make this jacket as safe as it gets. Alpinestars have also added their fancy new dual-density TPU sliders on the shoulders to improve abrasion resistance and help protect your collarbone in a crash. Look for a more in-depth review of this jacket coming soon. 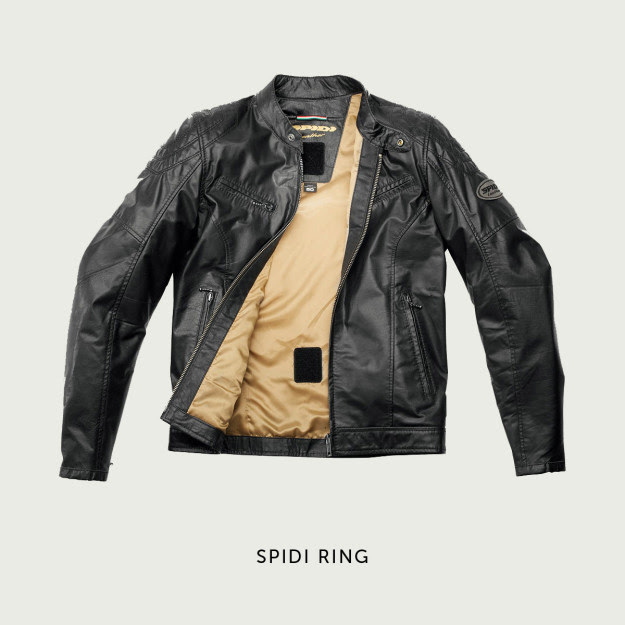 The Roland Sands Ronin Jacket, especially in the tobacco color, is my favorite looking motorcycle jacket, period. A friend has had one since the first run, and it gets better looking every single day. 1.2 mm washed and waxed cowhide, pre-curved sleeves, and a dropped back length, this thing is vintage levels of cool, even when you’re in a riding position. 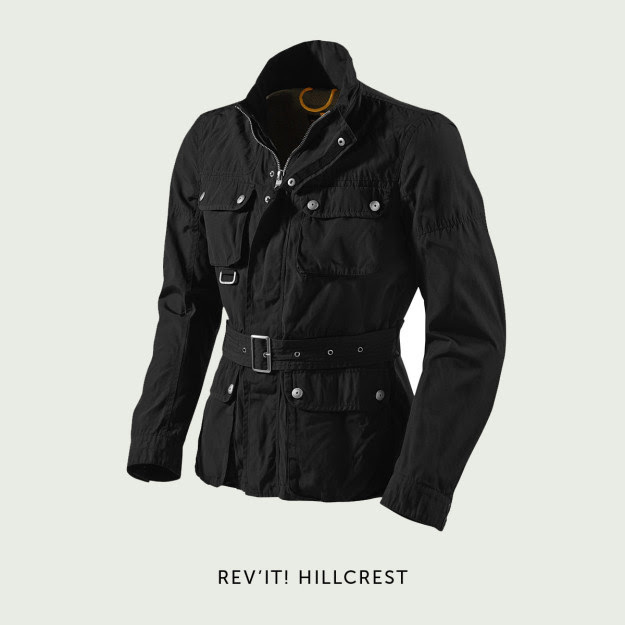 The Ronin comes armor ready, with pockets in the shoulder, elbows, and back. Just a warning though, we’ve gotten some of the latest production run and it seems their fit has gone wide. We’re looking into getting the one they sent us tailored, with a more in-depth review on the way. The people have spoken and their desires have been heard! Vanson released news at the AIMExpo a few weeks back that they would be releasing a production version of the AR3 they made especially for RideApart’s own Wes Siler, complete with armor. Competition weight leather that will last you your entire life, now with CE-rated armor stock from the factory. Go down in it and all you have to do is send it in for repairs, the only downside being you’ll have to put in all that hard work again to get it broken in just right. The Alpinestars GP-R Leather jacket is a 2011 Revzilla product of the year winner which, at it’s lower price point than the other jackets on our list, speaks volumes about it’s quality. It features 1.3 mm full-grain perforated leather combined with Aramidic stretch panels in the shoulders and arms to allow for a better fit and better range of motion. It has removable and adjustable CE certified Bio Armor in the shoulders and elbows, and padding in the chest and back that can be upgraded to a Bio Armor back protector and Bionic Chest Guards. It also has a waist connection zipper, so you can connect the jacket to Alpinestars leather or textile pants. The Vulcan VTZ-910 Motorcycle Jacket is made of premium cowhide leather. It features advanced design with underarm zippered vents that drop heat and reduce sweat. Its elastic panels on elbows and armholes allow for maximum comfort in riding position. Along with its many other feature are bright orange stitching, YKK zippers, high-visibility reflective stripes, and removable CE approved armor.